Chances are you already use Amazon to purchase a variety of products. Most people I know do. And it’s no wonder why – Amazon makes it incredibly convenient to shop online. Amazon has done this by eliminating most of the pain associated with shopping. Shopping on Amazon is not only quick, easy and inexpensive, but you also have the benefit of customer reviews to make a good purchasing decision. Because of the ease of shopping Amazon provides, they have garnered over 100 million prime members. And that’s just their prime members! There are millions more Amazon shoppers that don’t have an Amazon Prime membership. This may make you think – how can I leverage Amazon’s massive network of buyers, to create a thriving business? Meet Amazon Private Labeling: This is where entrepreneurs get a generic product made with their own logo. They then market it and sell it on Amazon, utilizing a thriving marketplace of buyers. For example, if you go on Amazon, you are sure to find many of the same exact salt shakers from different companies, and with different branding. This is an instance of companies utilizing private labeling on Amazon’s marketplace. 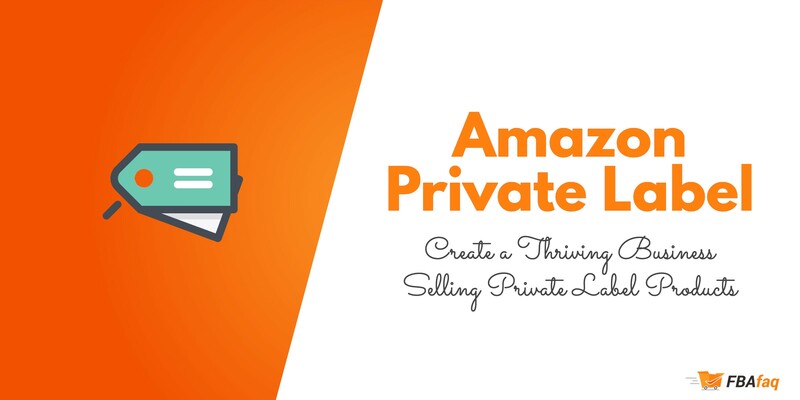 It’s not uncommon for people to start a private label private label business on Amazon and start making hundreds or thousands of dollars every month. The best part is that Amazon has the infrastructure (Fulfillment centers – FBA) to allow a one-man team to build a relatively big business through private labeling on Amazon. However, keep in mind, that it’s still going to take a lot of work to achieve this. Private labeling is not a get rich quick scheme. It’s a real business that you have to first build and then run. 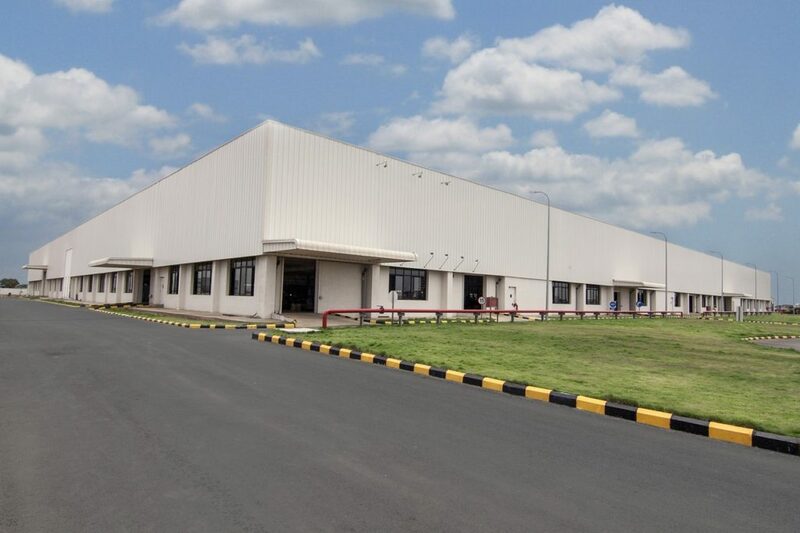 It also has some upfront capital investment, in the form of inventory, software, courses to learn the model, etc. What is Amazon’s Private Label? In a nutshell, the private labeling business model is all about selling generic products on Amazon, that you brand as your own (with your own logo). When selling private label products on Amazon, you generally find generic products/product categories that seem to be selling well on Amazon (yet with an eye on competition as well). Then they find a manufacturer (usually in China) that produces the same generic product. If you can find an ODM manufacturer (most of them are ODM) that also offer good prices, with a reasonably low MOQ (Minimum Quantity Order), then you may be off to a good start! After you find the product you want to offer, then you create your own logo to place on the products. Finally, when you are ready to make the order, provide the manufacturer with your logo and they will create your branded products for you. How much can you make Private labeling? How much you make, really depends on how much effort you put into this business. Also in my experience, the higher number of products sellers have a higher probability that they will be successful. There is a phenomenon called the 80-20 rule that I have witnessed applying to many things including Amazon, KDP print books, Kindle, etc. In terms of private label products on Amazon, the 80-20 rule usually goes something like this: About 20% of your products will result in 80% of your profit. So essentially the more products you have the more chance you have of finding several high-profit winners. If you only have 1-2 products you can still make good money, especially if you nailed the product research and picked a good product. However, if you probably won’t make nearly as much as someone who has 50 products (though you may have an easier time managing cash flow and inventory with only 2 products). When you sell private label products on Amazon you can expect to make anywhere on the lower end between $500-5,000 a month all the way up to tens of thousands of dollars per month in profit. The most successful sellers out there can make hundreds of thousands of dollars per month in profit. Lofty goal? Maybe. Achievable? Absolutely. In my opinion, it seems that people work harder at a 9-5 job than it would take to get to a $5,000/mo level selling on Amazon. Yes, it takes a ton of work getting it going, but over time, there is much more effort to reward ratio working a 9-5 than it is selling on Amazon. Over time, I think that creating a business on Amazon has the potential to allow you to work less and make more than a 9-5. It is powerful and life-changing. It has changed my life. My main income is from Amazon. Even though I work on diversifying income (since its obviously the smart thing to do), I feel that Amazon will always be a HUGE part of my income, even 10-20 years from now. Amazon is just too big of a success to not to ride on the coattails of Amazon. Disclaimer: it’s important to set your expectations correctly in the beginning. Do not think of the Amazon private label business as a get-rich-quick scheme. It is a real business that takes a lot of work. However, I believe that this business model is more scalable and will probably result in more profit than a lot of other businesses out there. Just know that it takes a lot of patience, hard work, and persistence. 1. Product research: you want to find a product that has a healthy demand but not too much supply (aka competition). It’s really about finding a balance between these two factors – basic economics. 2. Research suppliers: Alibaba is a great place to find suppliers. You want to find a reputable supplier that will deliver high-quality products for your private label business on Amazon. The fact is that Amazon customers expect a certain level of quality and you must choose a manufacturer that meets the standards. 3. Branding: branding is an important process for your private label products. Over time, you will build brand equity which will become an asset for your business and allow you to sell more products. You want to make sure you do this part correctly. Branding involves your logo, packaging, how you communicate your message through graphics, etc. Branding is the overall image of your business and can have a dramatic effect on your long term success for your Amazon private label business. This and product quality could be the foundations of your success as an Amazon seller. 4. Sample order: you always want to get a sample order of the products to make sure that the quality is to your liking. Often, I will get sample orders from several manufacturers, so I can pick the manufacturer with the highest quality products. No matter what a manufacturer’s MOQ is ( minimum order quantity), you should always be able to get a much smaller sample order – for example, maybe you want to get 5 to 10 items. 5. Place a full order: after you a validated their quality, it’s now time to place a regular order. This could be several hundred items up to a thousand or more. It just depends on their MOQ, your confidence in how well they will sell, and the amount you have to invest. Note that the MOQ is usually higher when you put your logo on the products. 6. 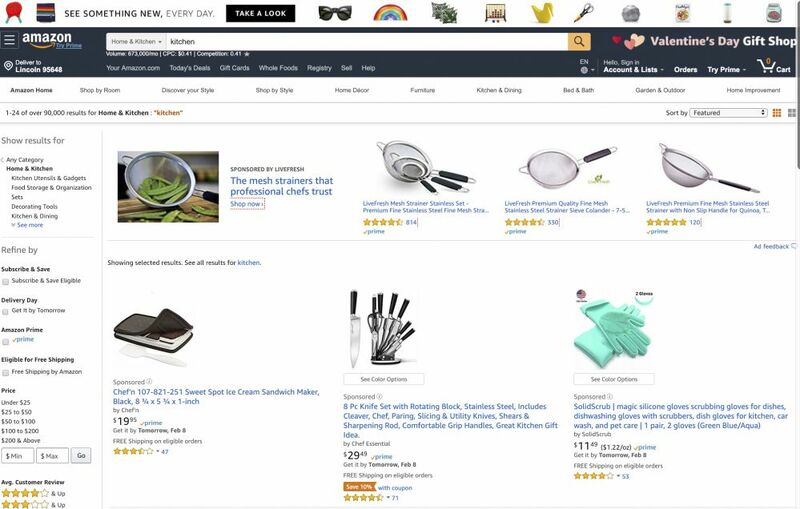 List your items on Amazon: then you will list your item on Amazon, implement strategies such as Amazon SEO, Listing Optimization, keyword targeting strategies, promotion, etc to start getting sales. You may also run paid campaigns to boost sales & reviews early on. So where do you start? Product research. Get used to loving product research, as this can make or break your business. You may have an idea of what you want to sell, or you may just want to sell anything at all. Be sure to do your research first. See what’s already selling on Amazon, but avoid items that are overly saturated. For those people that take product research seriously and don’t rush this process are the ones that are most likely to succeed on with an Amazon private label business. Product research for private label products is the number one step in this whole process. If you choose a product that is too competitive or doesn’t have enough demand, your products won’t sell much. On the contrary, if you pick a product that is in fairly high demand and where the competition is much lower, your business is more likely to thrive. It really comes down to simple economics – supply and demand. In my opinion, it’s better to niche out and err on the side of a lower supply than being tempted by higher demand product markets. I find it is better to make less on a product that has lower demand / low supply than to make nothing on a product with high demand / high supply. Sometimes markets are just too hard to enter, especially for new sellers. Amazon best sellers: The Amazon bestseller list is a great way to start your product research. 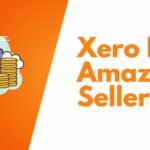 If you have absolutely no idea what product or what market to target, browsing the Amazon bestseller list is a fantastic way to brainstorm new product ideas. 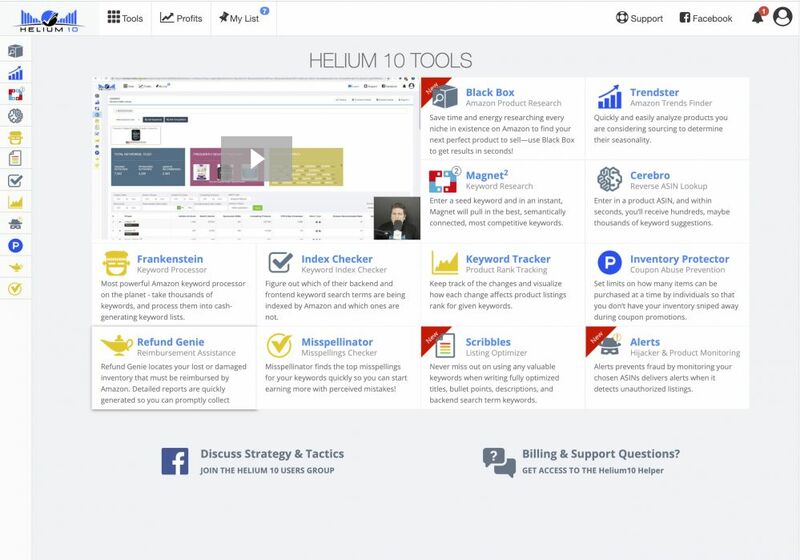 Paid Product Research tools: there are many product research tools such as jungle scout and helium 10, which allow you to drastically decrease the time that it takes to do product research but also do things that you can’t do manually. With product research tools you can filter through the noise and find good niches or products through certain criteria ( such as low reviews and high sales). Another thing I love to do (more so when listing the product for sale) is to You reverse engineer other successful product listings on Amazon through doing a reverse ASIN lookup. Amazon reviews: browsing the Amazon reviews of a potential product you want to sell is a great way to separate yourself from the competition. If you take note of the positive reviews, and especially the negative reviews, you may start to see a pattern of what people like and dislike. Doing this, you can get really get a good overview of the market on what people want out of that product. So for example, if there was a product that 10 people commented saying it needed a certain feature, now you know one aspect you can add to your product that would separate yourself from the competition. Borrow from experience: sometimes the best products end up being products you desire personally or products that you see lacking in some area that you can improve on. Buy competitor products: You can also buy your competitor products so you can get a feel for the quality of the product and more, which will come in handy for when you search for your suppliers. One of the first things you’ll notice when searching for a manufacturer is that many of your competitors use manufacturers in China. So why use china? the reason is simple — it’s much cheaper than choosing someone in the united states. Whatever your views of overseas production and outsourcing, the fact is, money typically dictates business decisions. Obviously you want to help people with the products your business offers. You want to find the best, highest quality products possible. My stance is if you can achieve the same thing with China manufacturers I don’t think there is anything wrong with that if it’s going to help you succeed. Saving money and maximizing your profits is even more important when you are just getting started and every dollar counts. At the end of the day, the choice is yours. U.S. Manufacturers sometimes have better quality control, but they are much more costly compared to China. Yes if you look a the statistics of faulty products, I’m sure China would take the cake on lower quality control. But if you do your due diligence and find a good quality supplier in China, I don’t see why they couldn’t produce the same quality or better as a US manufacturer. The fact is, China specializes in manufacturing. It’s not like the old days, where China products were crap. Look at Apple, most of their products are made in China! Just make sure you investigate thoroughly and choose a reputable manufacturer because if something goes wrong, your business will suffer. Focus on finding a good price, but don’t ever sacrifice quality. The key is negotiation and finding a high-quality manufacturer. The best way to do it is to actually go to China to inspect their facilities and make connections, but we can save that for down the road. For now, head over to Alibaba! Most sellers utilize Alibaba to find manufacturers since it is one of the biggest networks of china manufacturers. It’s like the google of manufacturers – it is amazing for people like us looking to sell on Amazon. 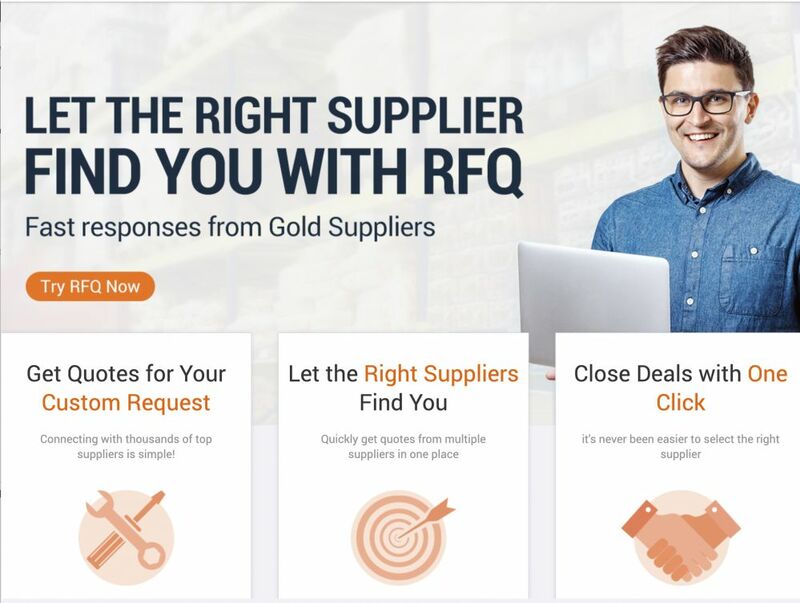 It’s pretty easy to find manufacturers because you can sort your results by Gold supplier status, ODM/ OEM suppliers, company size, etc. The hard part is filtering through the sheer amount of suppliers, as there will likely be a lot in any product category. Also, you will want to see if the manufacturer you choose charges an additional fee for adding your Logo/ brand name. Most will just increase the MOQ, but still something to consider. Now, it’s time for the fun part. You get to design your logos, labels or packaging, and other promotional material that you’ll add to your products and use as a part of your brand’s image. You can do the design work yourself or you can hire a graphic designer. I recommend hiring a designer if you aren’t a naturally talented and/or trained designer. 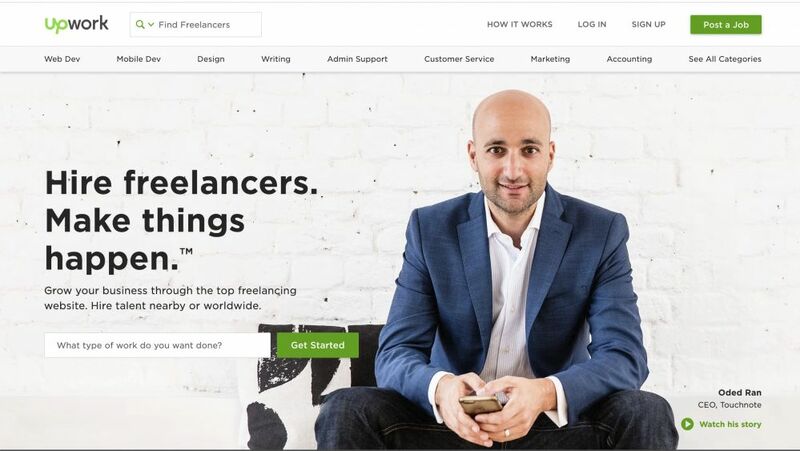 There are thousands of designers that you can find on freelancer sites (like upwork or peopleperhour), just waiting for this type of work, and they probably don’t cost as much as you might think. 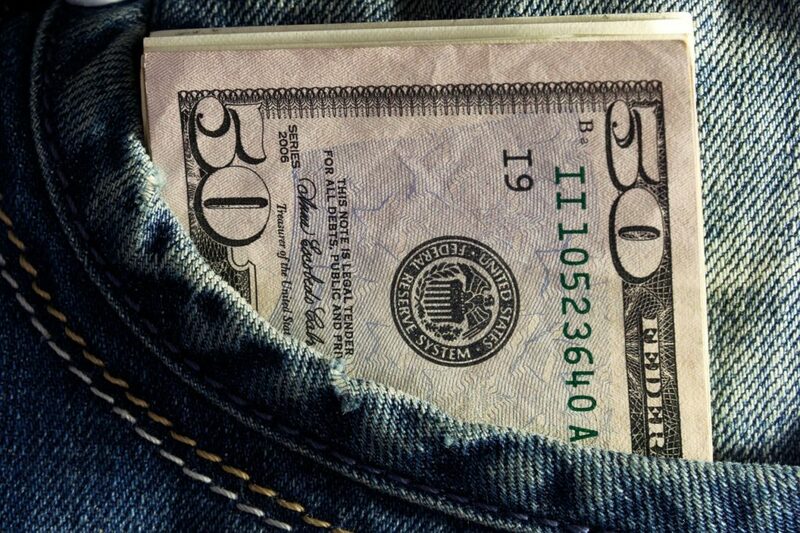 With design, you can usually get a good price if you take the time to find a good designer. You can also often find inexpensive, yet great designers in other countries. Remember there are no language barriers to design, so it doesn’t really matter what country you find a freelancer from. If you do choose a different country besides the United States, you will often be able to hire much cheaper freelancers because the labor rate is much lower. Just look at their portfolio before testing out their services. You can usually get a good idea of how talented a designer is just by their portfolio. As a general rule, you’ll want to avoid crazy fonts, too many colors, and other complicated designs. Opt for something memorable, however. You’ll also want to make sure your company name if it’s new, isn’t already in use and take the steps to protect it legally so that someone else doesn’t come along and steal it. You always want to purchase a sample order from the manufacturers that you are considering working with. Never place a full order from a manufacturer unless you have first placed a sample order first. By “full order” I mean you are attempting to start building your inventory for your Amazon business. For example, a regular, full order would probably involve spending $500-$1000+ or more for your first order (this number is variable and can get much higher, but for new sellers, $500-1000+ seems reasonable). If you’re worried about the MOQ that the manufacturer has, this doesn’t apply when you place a sample order. Every manufacturer is going to understand the concept of ordering a “sample order”. They know what you are talking about and they are completely understanding that you want to place a very small order to check the quality. Keep in mind that your per unit cost will be higher than normal when placing sample orders. This is because you’re going to be paying more expensive shipping on just a handful of products, so expect to pay anywhere between $50-100 or more for sample order. This will usually include a handful of products and shipping. It really all depends on how many samples you opt for, the product and more. But generally, $50-200 should suffice for a sample order. Once you have ordered a sample order to test the products, preferably from multiple manufacturers, you can begin comparing products. You can test products from each manufacturer to see which ones are the highest quality and the best fit for your business. Once you decide on your favorite manufacturer, you can then place your first real order that will be used to fill your inventory. This will be the order that you will then send to Amazon fulfillment centers if you’re using Amazon FBA (you should be using FBA). Even if your sample order had very high-quality products, now’s the time to do further quality control with your order. The thing is with manufacturers it’s all about the percentage of quality. Again, each manufacturer is going to differ on their own quality control standards. However, since these are your products with your brand name it is 100% your responsibility to make sure that these products are very high quality so you do not get bad reviews and disappoint your customers. Note: Some people send their shipments from their China manufacturers straight to the Amazon fulfillment centers. This sounds very savvy on first look, but be wary of this in the beginning. I definitely don’t recommend doing these types of things even though they sound like they might save a lot of time – at least in the beginning when you are getting to know your manufacturer. You want to get a feel for the quality of products first. You should first check each and every product yourself to make sure that they live up to your level of standards of quality. Because trust me, your Amazon customers are going to be having a higher standard of quality than you do with your own products, which support your income and your life! Customers will want the highest level of quality possible. So you want to make sure that each and every product goes through multiple checks of quality control. Now that you have your products, complete with your amazing logo, it’s time to start listing them on Amazon so consumers can buy them! 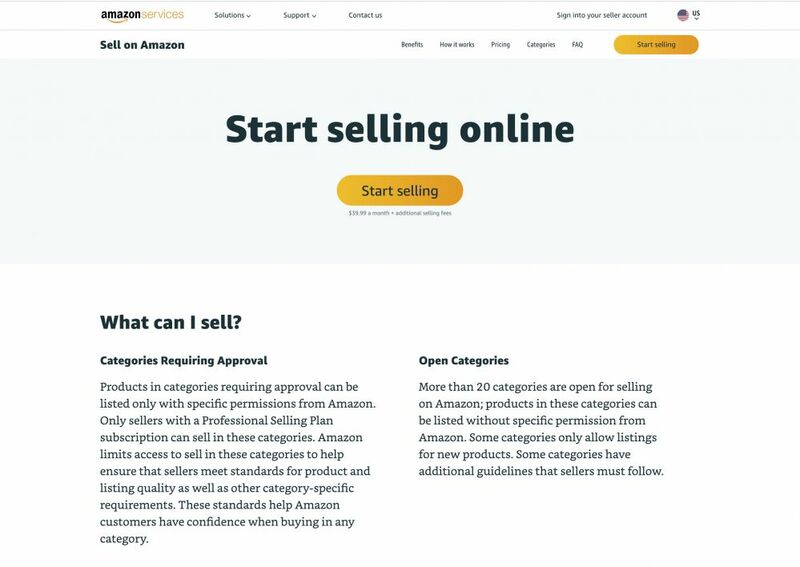 If you don’t already have an Amazon account, you’ll need to set that up and make sure you’re familiar with the Amazon’s rules for listing products. You don’t want to do things that can jeopardize your Amazon seller account. Use high-quality images: you want to make sure that you use plenty of high-quality images. This can be a huge factor in your conversion rates, which not only lead to sales but to your Amazon rankings which lead to more sales. You want to have good conversion rates to create a good sale cycle (Amazon SEO & their algorithm). People want to see what they’re getting, as closely as they can. When a lot of people get into the vine mode, they turn into crazy ninja researchers. They read reviews, they look at pictures they want to see pictures from every which angle, and more. You want to make sure they have enough visual representation of your products to encourage them to make the purchase. If you are not a photographer, I would highly recommend hiring a professional for Amazon product photography. Use as much detail as possible: nothing is more frustrating than receiving an item in the mail that isn’t quite what you thought it would be, based on the Amazon description. For example, add measurements, explain what you get, explain what the product is, what the benefits are, etc. Failing to accurately describe your product is a quick way to earn negative reviews. In fact, I’ve found that managing expectations are one of the best ways to increase your Amazon reviews. if you can somehow undersell yourself and over-deliver, this is ideal because it would result in the highest numbers of Amazon positive reviews. What you don’t want though is to not give enough information, where it leads them to be disappointed in your product when they receive it. Set your items apart: tell consumers why yours is better than your competitor’s products. Explain how it can add value to their lives. 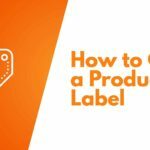 The good way to set your private label products apart is by doing research before you seek out a product or manufacturer. One great way to read the Amazon reviews of competing products and see what the customer is like about those products and what they, more importantly, disliked. If you can have the manufacturer create the product a little bit differently to include aspects of your research, you will automatically have a superior product. 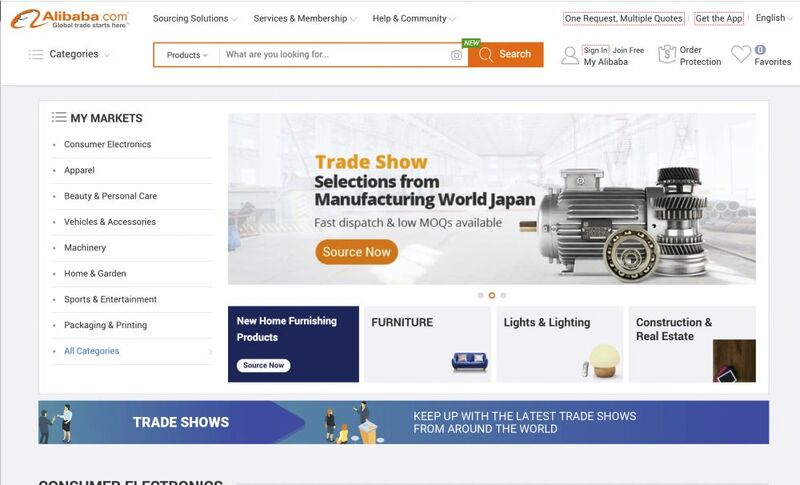 Though going this route where you customize the product slightly may require a much bigger MOQ, sometimes you can also search on Alibaba until you find the product that matches your specifications. Avoid big blocks of text: nothing is more painful than trying to read a huge block of text. You’re going to prevent people from actually reading your product listing if you do this. You want to make your product description easy on the eyes and scanable. To do this you want to avoid long walls of texts by using subheadings, bullet points, and bold statements and more. Focus on keywords: You don’t want to just list your Amazon products willy nilly, without any strategy. You may think it’s as easy as create, what seems to be some good copy, of your product description, bullet points, etc and be done with it. You really want to focus on keywords. Keywords are your bread and butter your Amazon business – at least in 2019 and beyond (until amazon’s algorithm changes). Amazon’s algorithm is based on keywords just like Google’s algorithm is based on keywords. But I would say that Amazon’s algorithm is a bit more archaic than Googles (which is a good thing for sellers). Just know that you don’t want to spam your listings with keyword stuffed copy. But you want to utilize a variety of keywords in your title, bullet points, description, and the back-end keyword area. Not only that you want to focus on finding the best, most relevant keywords for your product, but you also don’t want to choose keywords that are oversaturated. You want to choose keywords that you can actually rank your products and make money. Bullet points are important for both keywords and for conversion rates. You want to highlight the best aspects of your product in your bullet points. Most people don’t have the time (or don’t think they have the time) to read online articles, let alone product listings. The fact is, most people are skimming! The majority of people are going to scan Amazon product listings, and will instead default to looking at reviews. However, one way that people scan a product listing is through bullet points. Needless to say, they are an important part of the equation. People are going to look at the bullet points and decide if the product is for them or not. They may see certain features that prompt them to buy your product. Customer reviews on Amazon are part of the holy grail of product success. Of course, this is assuming you’ve gotten all the other aspects down, like keyword placement, choosing the right keywords, the right product, etc. People want to find the best product for the best price. So they look for a combination of prices and reviews. These two factors, along with product pictures and what problems your product solves, goes a long way in the success of your product. So how do you gain reviews? Well, that can be tricky. The days of fake reviews are over because it’s very risky. Not that it was ever a good business move, but those that used to engage in it are now at a loss of what to do. At the end of the day, you really want to focus on having the best product possible so it results in organic, natural good reviews. This is and always has been my focus, even when fake reviews were extremely common just a few years ago. Hell, they still are common, but just much more risky as Amazon has cracked down on it. Gaining real reviews is your best bet for long term success on Amazon.